Over at WPShout Fred Meyer has published a proposed Code Of Honour for WordPress developers. The article is address to developers of SME websites and is addressed to both developers and their clients. It addresses problems with SME website projects and puts forth a solution in the form of the code. It’s a reasonably long read. 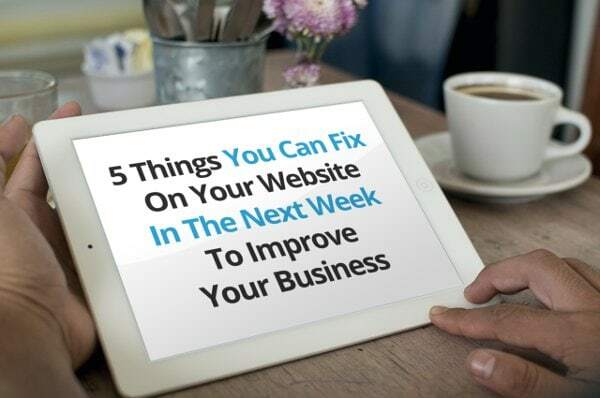 And if you are either a business owner about to engage in a web project, or if you are web developer who builds out projects single-handedly – then it’s well worth reading. After reading the code I had some immediate thoughts: the article and the post itself is timely. In fact, it’s overdue: many good developers have the experience of being pulled into an SME project to discover that the previous developer didn’t know his stuff. Consequently budget gets sucked into cleaning up unholy messes. Web development professionals aren’t just in it for the money. We want our clients to be happy. We want the projects we work on to succeed. We want to create websites to return an investment. We don’t like seeing clients in pain because the previous team didn’t know what they were doing. The code requests the developers use professional best practices. Best practices in technically building the project, and in client communication. It requests that developers be accountable to their clients. The very existence of the code also creates a condition of accountability: accountability to a community that declares itself for the code. I’ve been in private discussions with people who are in the business of delivering web projects for SME’s. These people are both solo developers and agency owners. These people are good providers and all have records of delivering great projects and making their clients happy. They largely agree in principle with the code itself. But to my surprise they had two objections to the article itself. According to this critique, projects don’t fail because of the developers own weaknesses. They fail because the of faults on the clients end. There’s some truth to this. Some projects do indeed fail because the client makes unreasonable demands, micromanages the project and doesn’t trust the authority of the agency or the developer. Clients sometimes don’t understand the work that’s involved, and make unreasonable demands. Often clients fail to honour the process by which agencies and developers create good results. I think that agencies can have good reasons for thinking these things. But I also think that ultimately it’s the responsibility of the agency or the developer to guide the client on these matters. Or to simply turn away clients that won’t work within the process of the agency. Besides, in all fairness Fred links to content about how to avoid bad clients. And how to be a great client. Now as I mentioned above, the people I heard this critique from have histories of delivering great work. They’ve built many projects that make their clients money. I believe that these people are non-programmers themselves. And they seem to feel that the article shows a kind of hidden contempt for non-programmers the deliver WordPress projects. But personally I think the critique is baseless. Someone responsible for delivering an SME WordPress website can deliver without knowing how to program. They can simply hire a programmer. But the reality is that the better someone knows how to program, and specifically how to program within the WordPress world, then they are in a better position to quickly solve the kind of problems that will come up within the project. There’s a huge amount that you can done without being able to program. But ultimately if a provider doesn’t understand the underlying technologies then they are disadvantaged. Understanding the underlying technology brings some significant advantages. Here are just a few. To clarify: non-programmers can be competent and even excellent at delivering satisfying projects. And sometimes programmers don’t have non-programming skills that great results require. But personally I think that everyone who is in the business of delivering an SME web project should at least be learning the underlying technologies. Personally I endorse Fred’s Code Of Honour 100%. At this point I have zero reservations about it. If the code was “officially released” today in it’s current state then I would commit to it. The “wild west” period of web contracting is coming to end. Even though cowboy agencies and developers still exist, their opportunities are fading. Fred’s code is a an idea whose time has not only come: it may be overdue.